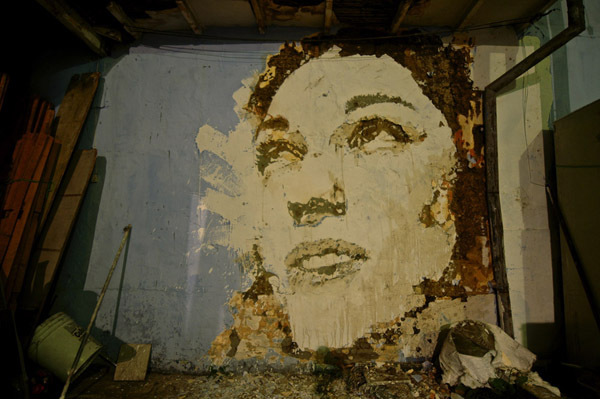 Abundantly creative is perhaps the best way to describe Vhils, a young Portuguese artist who constantly innovates with new techniques and approaches to his art. I’ve long been a supporter of his work – and was lucky enough to be able to invite him Cans Festival in 2008. It was also a pleasure to feature his work in depth in my next book which will be published later this year. For the uninitiated, Vhils’s current work is about revealing images through deconstruction (in the demolition sense – construction in reverse). By stencilling, stripping away billboards and chiselling into walls; Vhils creates new images that reflect the random decay of the streets. At the same time Vhils’s uses portraiture to evoke the lives and ghosts of people who make up the history and life of our cities. 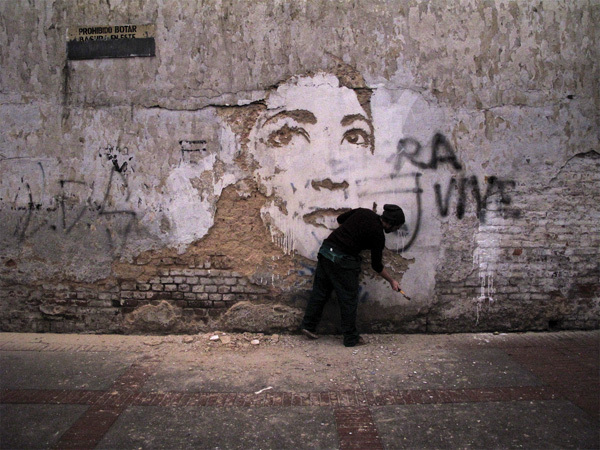 I was very excited to see Vhils new work in Bogota, with thanks to the Memoria Canalla team. 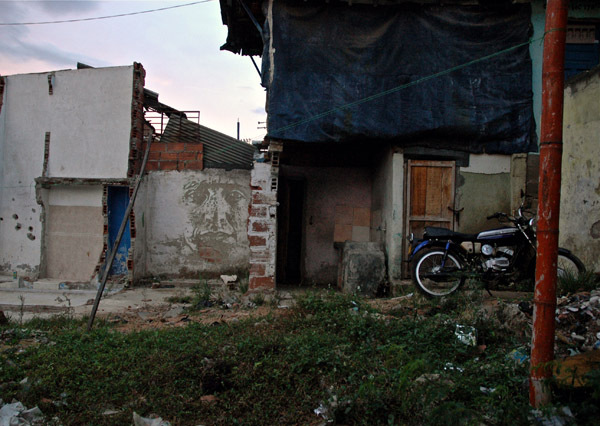 It is a city I found fascinating and great to see that Vhils was able to leave his mark there.